Despite what you may have heard, it isn't too terribly difficult for a vegan to indulge in candy and other sweets during the month of October (and beyond). 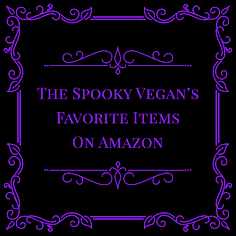 We have all sorts of delicious and cruelty-free options to choose from (my faves include any of the drool-worthy GoMaxGo candy bars, the yummy Chocolate Dream candy bars, Oreos [yup, they are vegan! ], Twizzlers and Sour Patch Kids! Pst...read all about my faves in last October's candy post HERE) and when in doubt we can whip up our own batch of vegan sugar cookies or vegan pumpkin chocolate chip cookies! Sometimes, though, we feel like really treating ourselves! I love baking, but I am so busy the month of October that sometimes it's just nice to have some vegan Halloween treats shipped to me rather than making them myself! Boo! 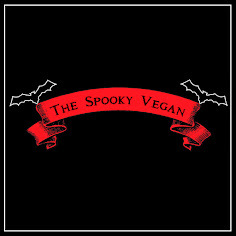 A very vegan Halloween to you! My #1 go-to vegan treat company for this is Sweet and Sara, who specialize in vegan marshmallow sweets! And during Halloween season (and almost all other holidays), they come out with some adorable items! 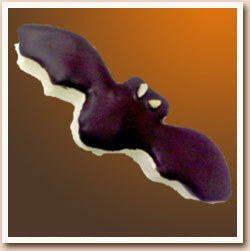 This year they are offering some boo-tiful marshmallow ghosts and bewitching chocolate-dipped marshmallow black bats! I'm batty for these creepy cuties! 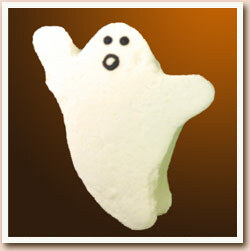 Not only that, but this year they also have pumpkin spice marshmallows!! Can you imagine how AMAZING that would taste, perhaps in some nice hot chocolate on a chilly fall night? Mmmmmm...yummy! 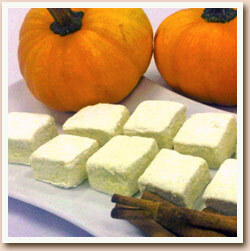 Pumpkiny goodness in marshmallow form! Lots of health-conscious grocery stores sell Sweet and Sara treats (though they always sell out extremely fast, so definitely snap some up if you spot them!). 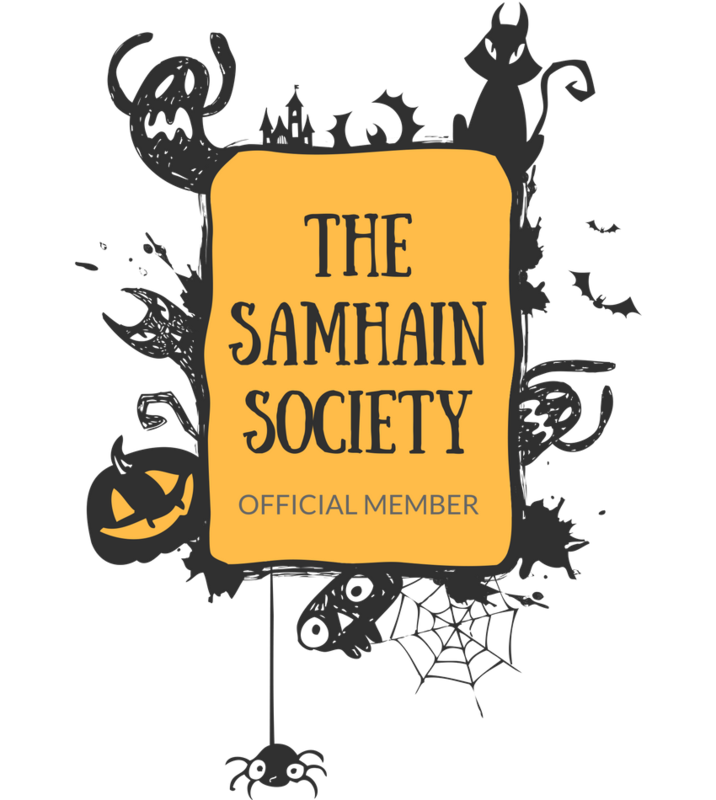 You can also order their goodies online, and they even ship internationally so everyone in the world can get some delectable vegan Halloween treats! Hoo-ray! 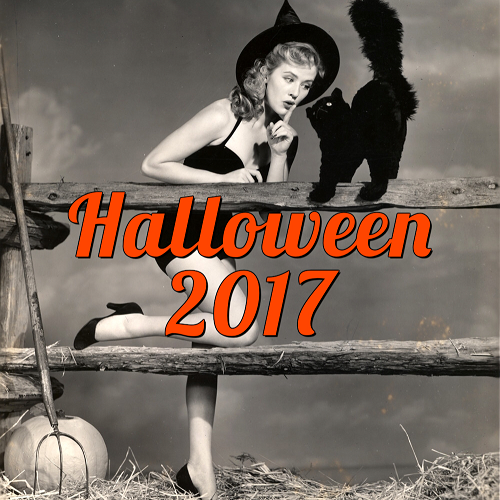 Thanks, Sweet and Sara, for keeping the vegan Halloween spirit alive with your amazing products!